Eating a good ADHD diet will help you think more clearly, feel incredibly more energized, and look a whole lot better. I would know, since I’ve been through some of the worst eating phases, like eating buffet-style meals every day for two years (back in college). But, I’ve also practiced some of the very best eating habits as well. I’ve spent the past 3-4 years eating a mostly Mediterranean-style diet that doubles as the ultimate ADHD diet plan. 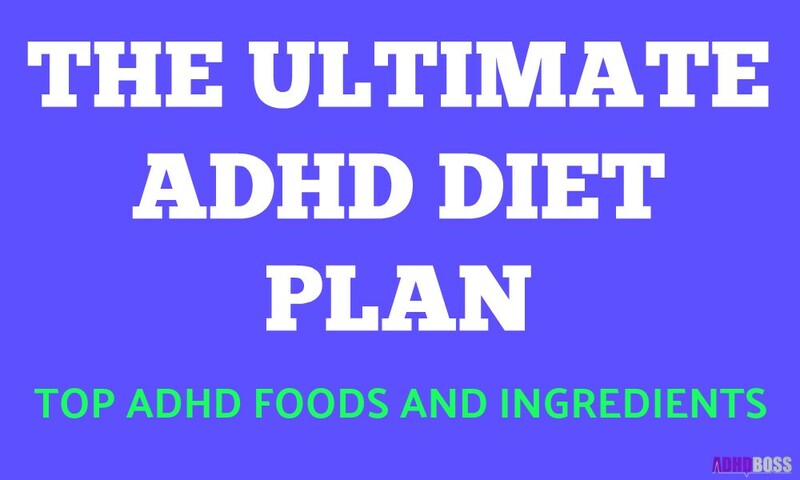 When you start to eat the foods and ingredients that I recommend in this article, you’ll begin to understand how a solid ADHD diet can change your life. Keep in mind that my diet plan is not a traditional Mediterranean diet by any means – but a heavily-modified version of one (tailored to American taste buds). Mediterranean is just the general foundation of a good ADHD diet, with plenty of room to get creative. So, here’s the best ADHD diet plan around, which will help you live a more focused, fun and healthy life with ADHD. Seafood is loaded with natural omega-3 fatty acids, protein, zinc, b vitamins, and lots of other good stuff. Eating high-quality seafood is also known to help prevent Alzheimer’s disease, and combat ADHD symptoms. If you have access to fresh seafood, then you’re in an unbelievably lucky position in life. I’m currently landlocked, so fresh seafood isn’t as easily available to me right now. Instead, I regularly eat canned wild caught tuna, sardines, and salmon. 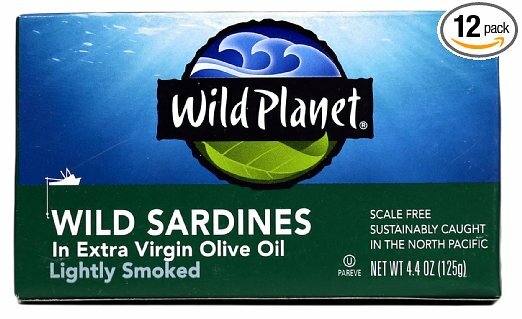 I prefer the Wild Planet brand of canned seafood (Amazon). The entire Wild Planet brand is great, and their canned seafood is as close as it gets to eating fresh seafood. Plus, eating wild caught seafood is 100% worth it, because you’ll ultimately be improving your overall health (as well as your ADHD symptoms). Olive oil is a food that’s so tasty, healthy, and useful. But, it’s also something that most people get wrong. Because, most people buy the wrong kind of olive oil. I know this because millions of people still buy their olive oil from mass market grocery stores like Wal-Mart and Target every day. The problem with this is that mass produced olive oil is rarely good quality. Studies have even shown that over two-thirds of the olive oil you find in grocery stores is fake. So, I ultimately recommend that you snag a bottle of Baja Precious Extra Virgin Olive Oil (Amazon) because it’s a delicious and always genuine olive oil. Your ADHD brain needs lots of healthy fats in order to function properly. 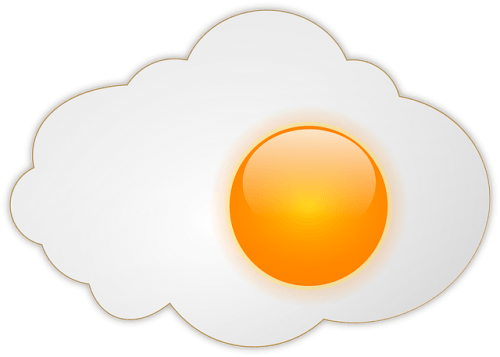 So, you should cook your eggs in something like Organic Ghee from Grass-fed Cows (Amazon) for a healthy morning meal. Ghee is downright delicious. And, it’s a huge hit with health experts, fitness professionals, and people who follow high-performance diets (like athletes). For breakfast, I usually scramble some eggs in organic ghee, then add spinach, turmeric, grape tomatoes, black pepper, and a few other ingredients. This meal literally feels like fuel for your brain. I always feel great after eating it, and you will too. Your body needs carbs. But, you don’t want to eat heavy carbs that will make you feel groggy. 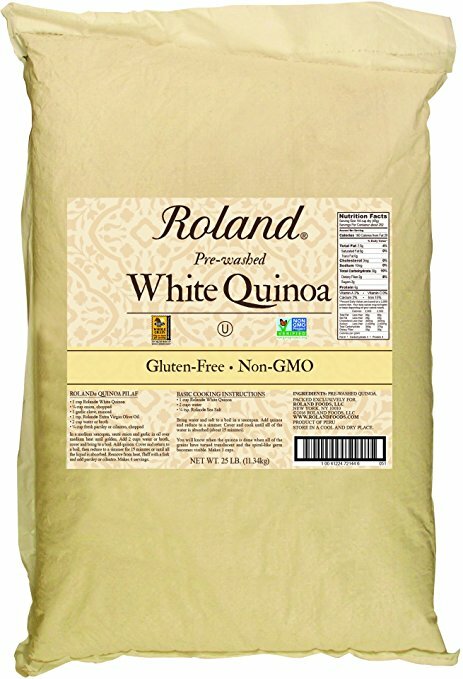 It’s for this reason that Roland Pre-Washed White Quinoa (Amazon) and Ezekiel sprouted grain bread are two of my favorite sources of “light carbs”. For a long time, I ate lots of heavy carbs like enriched pasta, french baguette, white rice, and pizza. And to be honest, I still indulge in carb-heavy foods like these on occasion (they’re still delicious). But now, I like to keep my carbs relatively light – to help keep my ADHD symptoms in check. Try eating quinoa or sprouted grain bread with your next meal, and you’ll notice a massive improvement in how you feel afterwards. Most people know that nuts are healthy. But, most people don’t realize just how healthy nuts can be. Walnuts, almonds, brazil nuts, cashews, and hazelnuts are packed with protein, vitamins and nutrients that keep your ADHD brain sharp. 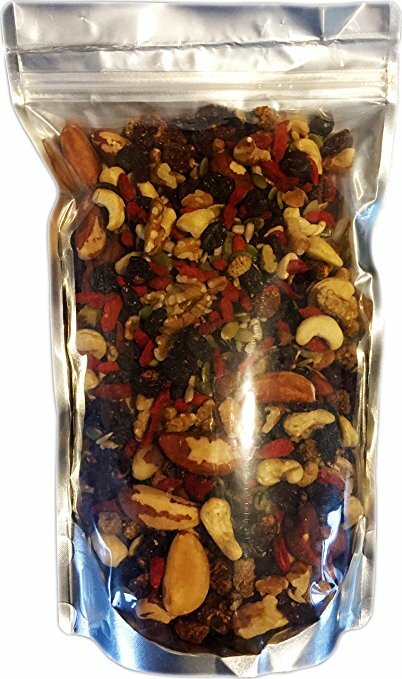 I actually like to keep a bowl of Raw Unsalted Mixed Nuts (Amazon) on my kitchen counter so that I can grab a handful of healthy nuts to snack on whenever I get hungry. Tabouli (pronounced ta-booli) is a relatively unknown salad in the Western world, because it’s traditionally eaten in Mediterranean countries. This salad consists of parsley, fresh mint, lemon juice, tomato, chopped onion, extra virgin olive oil, and a few other ingredients. It’s like a natural energizer and immune system booster. And, tabouli is probably the healthiest salad that you can eat for helping to manage your ADHD symptoms. 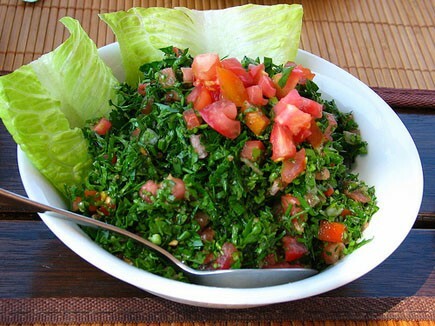 The parsley found in tabouli is anti-inflammatory. Meanwhile, inflammation is believed to contribute to ADHD and similar mental health conditions. See how tabouli can help to fight against ADHD symptoms? Plus, if you happen to use ADHD medication – the lemon juice, tomatoes and chopped onion found in tabouli will help to ensure that your immune system remains in top shape. Tabouli is ultimately the very best salad there is for maintaining your overall health and improving your ADHD. While it’s good practice to get most of your vitamins and nutrients from your diet, this is also an unrealistic goal for most Americans. You’re constantly out of the house, busy, and on-the-go. So, I know that it’s practically impossible for you to get all of your vitamins and nutrients from food alone (because the same goes for me, too). I work from home, cook 90% of my own meals, and still have trouble getting all of the vitamins and nutrients that I need every day. So, I take a daily food-based multivitamin to make sure that I’m getting the commonly-missed (but important) vitamins like zinc, biotin, copper, and many others. Garden of Life Vitamin Code is one of my favorite brands of multivitamin because their vitamins are food-based, meaning that they don’t sell artificial junk like most supplement brands. I personally use Garden of Life Vitamin Code Raw Multivitamins (Amazon). These are excellent food-based multivitamins for managing your ADHD symptoms (and adding the ‘final touches’ to your ADHD diet). You can actually feel Vitamin Code’s multivitamins ‘working’ inside of you, as weird as that might sound. 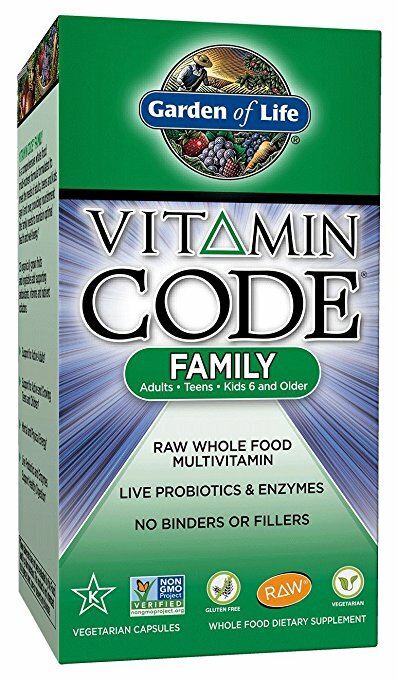 Vitamin Code works, and I stand by their quality. I know that most multivitamins (including Rainbow Light) already contain ingredients like magnesium and vitamin D.
But, some ingredients like magnesium, vitamin D, and milk thistle are important enough to take individually. You’ll want to supplement with these ingredients individually, because you need to take a proper dose of these ingredients in order for them to truly improve your ADHD symptoms, overall health and lifestyle. Taking a proper dose of magnesium will help you sleep like a baby every single night. I take Thorne Research Magnesium Citramate (Amazon) every night, and it works great. Using magnesium also helps people with ADHD feel calm, as it has an anxiety-reducing effect. And, because I spend a lot of time indoors, vitamin D is something that my body simply doesn’t produce enough of. So, if you’re like me, and you work in an office setting, you’re probably deficient in vitamin D too. I recommend taking Rainbow Light Vitamin D3 Sunny Gummies (Amazon) or Pure Encapsulations Vitamin D3 (Amazon) to get your vitamin D back in range. As for milk thistle, I recommend using Jarrow Milk Thistle (Amazon) because your liver is an extremely important organ that can affect your mood, hormones, and mental function. 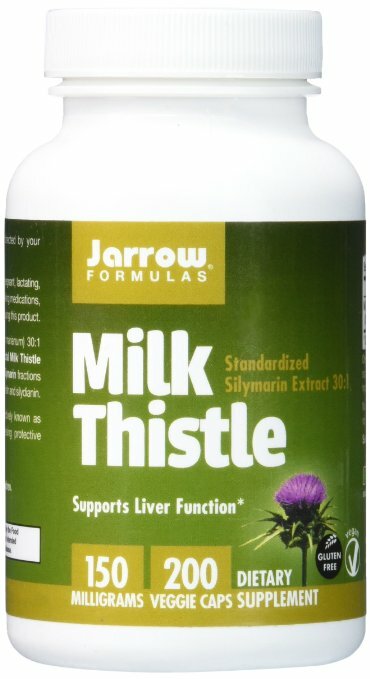 Jarrow Milk Thistle has been shown to support the liver function. If you choose to supplement with magnesium, vitamin D, and milk thistle, you will be making huge improvements when it comes to your ADHD and health. 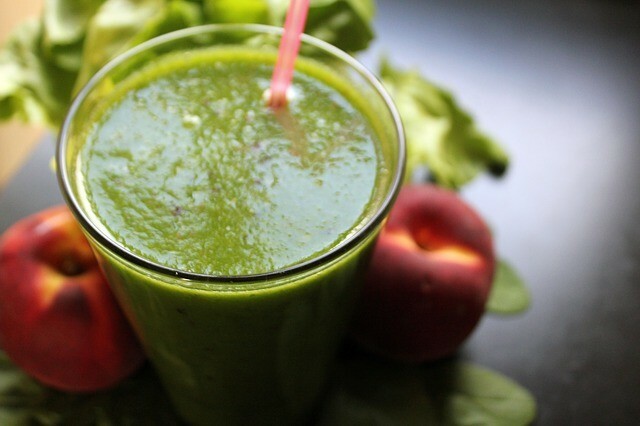 If you can commit to blending kale, spinach, apples, blueberries and other nutritious fruits and vegetables, you will literally feel like a new person. I estimate that drinking a green smoothie every day will triple your overall quality of life. Drinking green smoothies will help you think more clearly, feel more energized, and avoid being sick. Buying a certified refurbished Vitamix blender was one of the most important decisions that I’ve made for improving my ADHD symptoms. You need to drink green smoothies most days of the week, or you could be missing out on a huge part of living a healthy ADHD lifestyle. I own the Vitamix 1891 Certified Refurbished Blender (Amazon) , and I highly-recommend this model of blender (Vitamix blenders can last decades if you take care of them). I can’t speak for every single person with ADHD. But, I know that for myself, having a solid routine in place helps me stay sane. With that being said, I still make sure to break routine and create fun new memories at least once a month. Because, if you don’t set aside the time to occasionally go on a road trip, meet new people, go out with friends, or explore the world, life will pass you by while you’re laser-focused on your ADHD diet. Having fun in life is just as important as taking vitamins, exercising, drinking green smoothies, and following a strict ADHD diet. This isn’t talked about nearly enough. 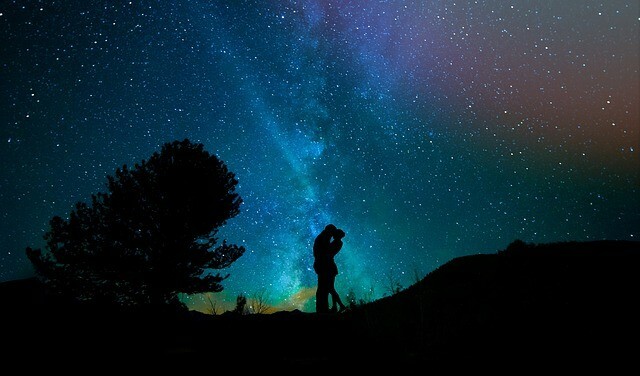 You have to enjoy yourself, or you’ll drive yourself crazy living a life of monotonous routine. At one point in my life, I was absolutely obsessed with fitness and nutrition (I told you I’ve been through many different eating/health phases). But funny enough, being obsessed with fitness and nutrition was more of an ‘escape’ than anything else. I wasn’t actually using my wonderful health to enjoy life, help people, or gain more freedom. You tend to see this a lot with people who constantly obsess over every detail of their diet, and spend 14+ hours in the gym every week. Don’t get me wrong. I’m still a huge advocate of eating a mostly-clean ADHD diet, and exercising hard in the gym (within reason). But, keep in mind that the real reason for following a semi-strict ADHD diet is to create a strong foundation for living a more exciting life with ADHD. Use your ADHD diet to channel your newfound energy into exciting relationships, creative projects, adventures, work, social activities, or anything that adds a deeper layer of value to your life. That’s how you’re going to make the most of your life with ADHD. I hope that this diet plan helps you manage your ADHD, and live a far more focused, energized and active lifestyle. I want my readers to have access to genuinely life-enhancing information in regards to living with ADHD. So, this diet is the same diet plan that I use every single day. If you apply this diet to your life, I’m confident that you’ll be rewarded with great health, and an amazing outlook on life. One last thing. 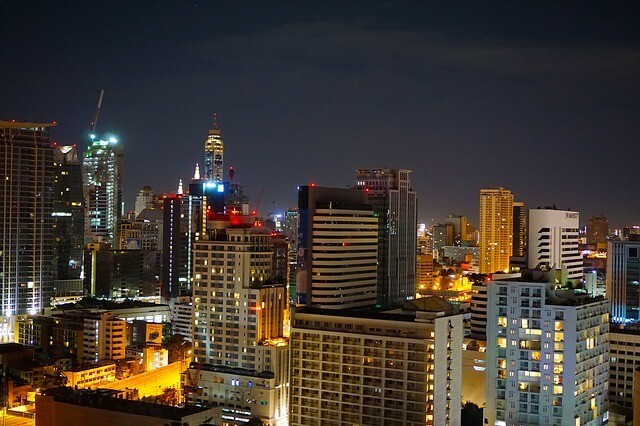 If you’ve enjoyed this article, can you please share it on your favorite social media channel? Also, feel free to leave a comment in the comments section below. Let me know if you have any other dieting tips or tricks that you use to help you manage your ADHD. I look forward to hearing from you.